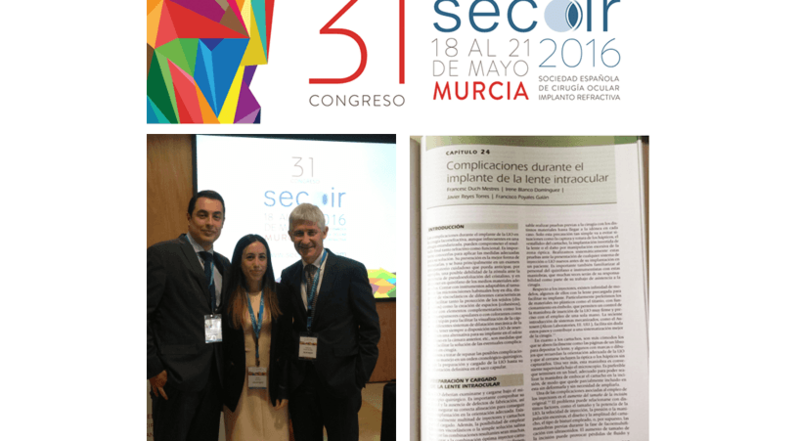 Last weekend, Murcia’s Auditorium and Congress Center held the 31st Congress of Spanish Society of Implant Refractive Ocular Surgery (SECOIR). On this occasion, the Congress, celebrated at the Auditorium and Congress Center Víctor Villegas, in Murcia, saw more than 1000 attendants, and 189 communications, posters and videos were presented revolving on subjects such as the present and future of multifocal lenses, anterior segment surgery or the latest advances in the achievement of an ideal optical condition with no refractive errors. The congress started on Thursday 20th with a strong involvement of ICR Refractive Surgery Team. During the communications session on excimer and femtosecond laser, which was chaired by Dr. Francesc Duch, Head of Refractive Surgery Department at ICR, Dr. Duch himself, alongside Dr. Mercè Martí, Dr. Javier Reyes and Dr. Irene Blanco, all of them ophthalmologists at the ICR Refractive Surgery Department, presented a digital poster on PRK, LASIK and femtoLASIK: visual outcomes after a year. On Friday, at the very same communications room, which held this time a session on lensectomy and intraocular lenses, the members of the ICR refractive team presented a second communication in which outcomes of new Bi-Flex multifocal lens implantation in presbyopia surgery three months after the intervention were analyzed. During that day, Dr. Duch also took part as a director and communicator on the SECOIR refractive course focusing on optic coherence tomography (OCT) in anterior segment, during which he explained the uses of intra-operative OCT in intraocular lens implantation. Moreover, he also took part on SECOIR-CIRP symposium: as a chairperson during the Meeting with the expert, and as a communicator in the section Destination emmetropia: combined techniques, where he talked about photorefractive keratectomy and accelerated cross linking, two techniques aiming to improve the vision and reduce as much as possible refractive errors. During the Symposium Bloss: a refractive reality he analysed femtophaco LDV Z8 technique in presbyopia surgery and he also took part as a panellist on the discussion Ophthalmology and responsibility. 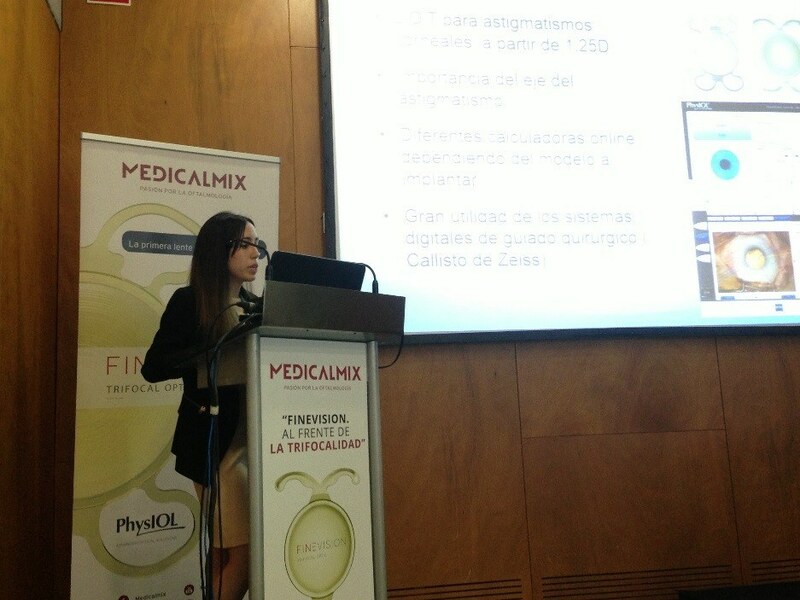 At the symposium chaired by Dr. Duch under the name MedicalMix-FineVision at the forefront of trifocality, Dr. Blanco presented a communication where she analysed the vision of young ophthalmologists in terms of trifocality. Finally, the congress was closed on Saturday with the election of best communications and videos, chaired by several experts, including Dr. Duch. 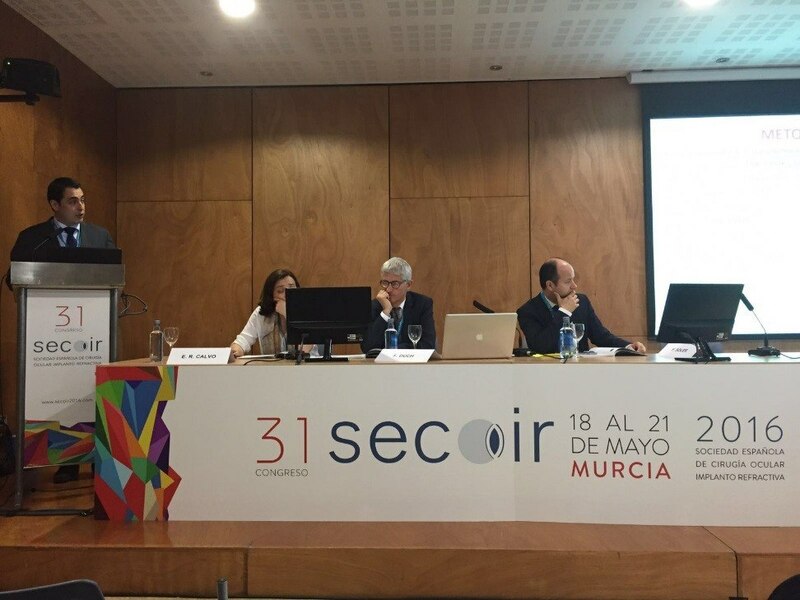 On this occasion, the congress served as a launching framework for SECOIR’s annual monograph, which revolves this year on Complications in crystalline lens surgery. This monograph serves a reference book in this ophthalmology field and members of the ICR refractive surgery team also took part on it as co-authors. More specifically, the team drafted the chapter 24 on Complications during intraocular lens implantation. 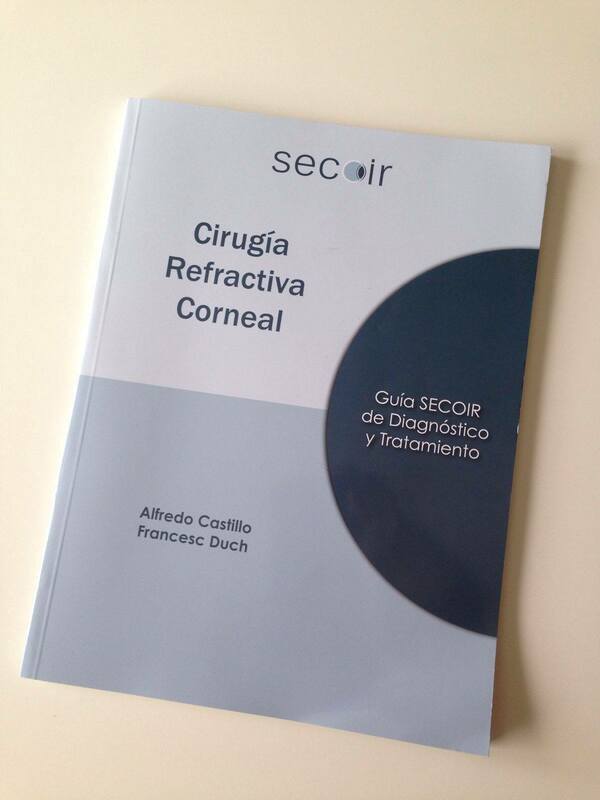 During the congress, members of SECOIR were handed over the Diagnosis and Treatment Guide on Corneal Refractive Surgery written by Dr. Duch alongside Dr. Alfredo Castillo, which had been presented in the same congress last year. 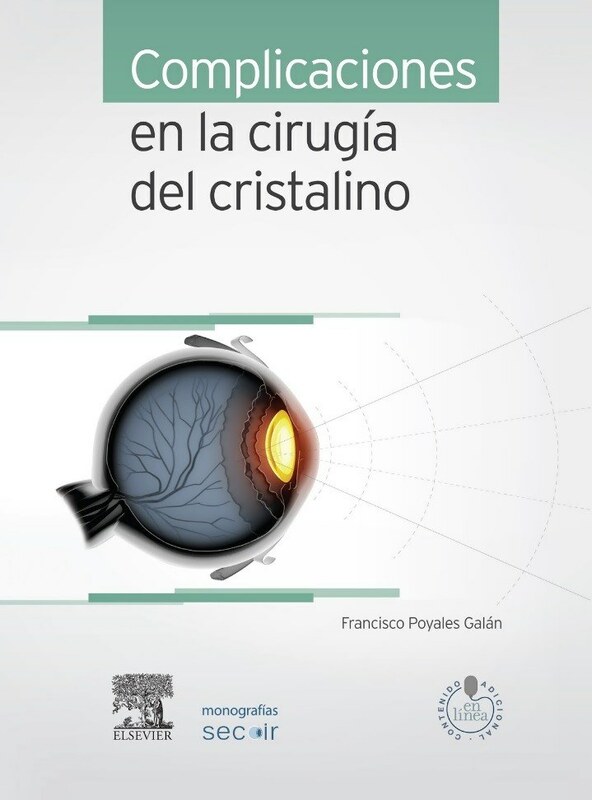 This guide provides a reference to all Spanish ophthalmologists on how to proceed in the field of corneal refractive surgery.